As a member of the Lincoln Property Company team, our core values are the driving force behind providing the best living experience for our neighbors. We strive to treat others as we expect to be treated and are always listening with an open mind, ready and receptive to new ideas. At Lincoln, we are always looking for feedback from our residents, whether that be via surveys, reviews, or asking people to share their stories about being a Lincoln resident. From there, we continuously make improvements to benefit our apartment communities. 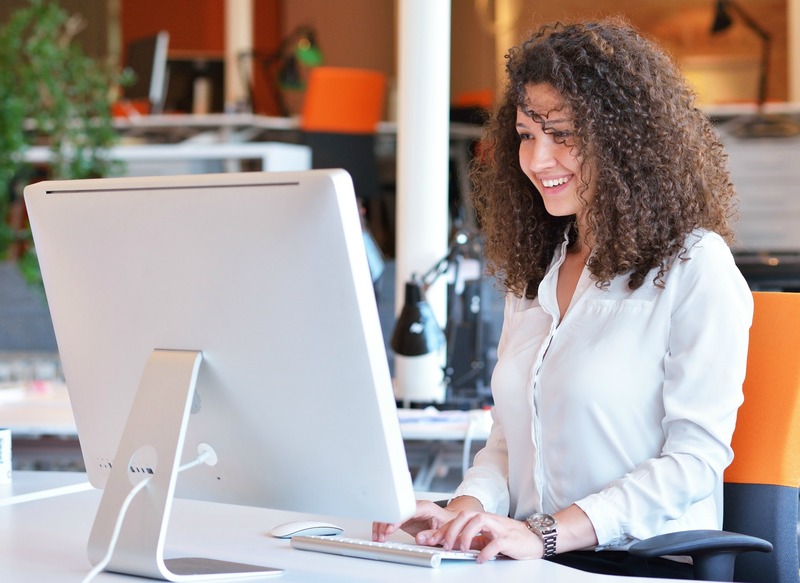 If you’re looking ways to effectively manage and respond to resident reviews, follow these 4 steps from Megan Sanders, our Marketing & Client Services Manager, to ensure you’re giving a thoughtful response every time. Be prompt: Respond within 24 hours, respond to older reviews, and remember, teamwork equals dreamwork. Don’t write angry: Take a step back and cool down before responding. Respond with care: Address them by name, refer to specific details, and sign off with your first name. Take action: Use the feedback (positive or negative!) to make improvements to the community. 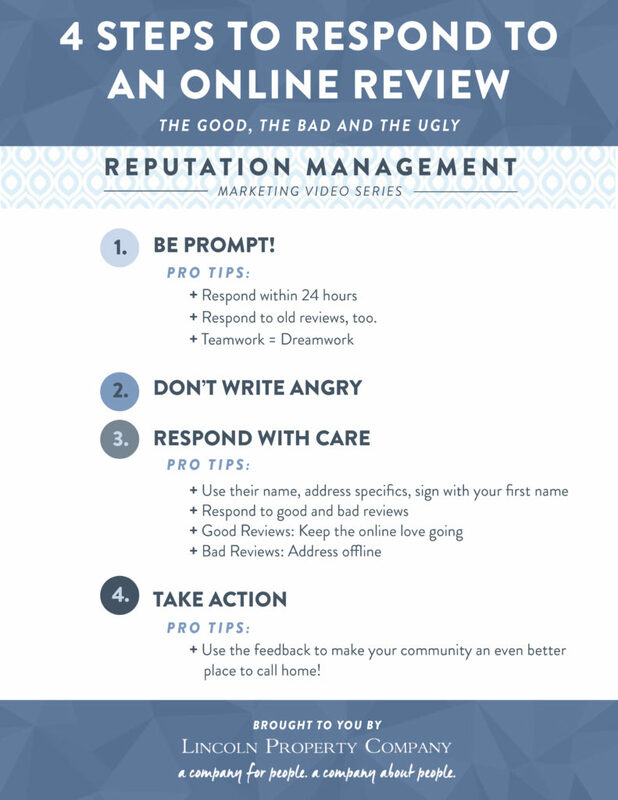 To see these 4 steps in action, check out the latest video in our Marketing Video series, entitled “4 Steps to Respond to an Online Review”. Come back soon for the next video in our series! If you would like to learn more about effectively communicating with your neighbors, contact us today! Want to share what you learned in this post with others? Feel free to pin the handy infographic below!